AVENGERS: ENDGAME is less than a month away! Written and directed by the outstanding Russo Brothers, AVENGERS: ENDGAME will be their fourth film for Marvel Studios. Fans give all their films high praise and regard, so let’s take a look back at what makes Russo Brothers MCU films so awesome! We’ll also look ahead at what’s in store from the Russo Brothers with ENDGAME and perhaps beyond. Before they became the MCU’s premier and most prominent directors, Joe and Anthony Russo got their start with the film WELCOME TO COLLINWOOD starring George Clooney and Sam Rockwell. After a few other projects, they caught the attention of Ron Howard, who brought them in to direct the pilot of ARRESTED DEVELOPMENT, with their work earning them an Emmy. Their other most popular television work is COMMUNITY, of which they wrote and directed more than a few seasons. Shows like ARRESTED DEVELOPMENT and COMMUNITY, both television comedy series, have a large cast with intersecting narratives and plots, their focus seamlessly shifting from narrative to narrative. 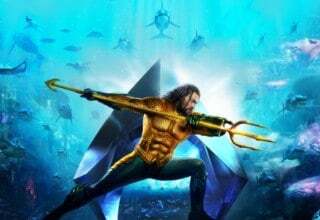 The episodes end with immensely satisfying conclusions, pulling references and seemingly small details to the forefront by their end to great entertainment value for the audience. The stories have some incredibly funny moments, while also featuring some moments of unexpected weight and heart. If you look at their work beforehand, it makes sense that the Russo Brothers would be brought in for a Marvel film. Marvel films tend to fit those same criteria that those shows do: humor, heart, multiple intersecting narratives, references, etc. In 2013, Marvel Studios hired the Russo Brothers to direct CAPTAIN AMERICA: THE WINTER SOLDIER, a sequel to CAPTAIN AMERICA: THE FIRST AVENGER. WINTER SOLDIER follows Captain Steve Rogers after THE AVENGERS, living in the present day. He’s doing his best to adjust, working for Nick Fury with SHIELD. When Fury suspects that SHIELD could be compromised, he becomes the target of the Winter Soldier. Fury confides in Cap, telling him to uncover the corruption. Rogers teams up with Black Widow and Sam Wilson, aka the Falcon. Together they reveal the truth of Hydra’s operations within SHIELD for years. That puts them face to face with Hydra’s agent, the Winter Soldier. Steve then discovered that the Winter Soldier was his friend from the ’40s, Bucky Barnes. Hydra brainwashed Barnes by putting him in a cryo-sleep, only to be woken when needed for missions. By the film’s end, Rogers and company foil Hydra’s plans by taking down all of SHIELD. It also ends with Steve possibly getting through Barnes brainwashing. At least to the point where he recognizes Steve and saves him. Barnes vanishes after that, with Steve, determined to find and save him. WINTER SOLDIER plays like a political thriller with superhero flair. The Russo Brothers were able to manage and depict some incredible arcs, moments, and surprises within their first film. SHIELD’s dismantling alone forever changed the foundations and established the status quo of the MCU at that point. Also, the moment where Steve discovers that the Winter Soldier is Bucky is extremely accurate to how it happens in the comics right down to the dialogue. WINTER SOLDIER was received incredibly well, opening up to 95 million dollars. It also broke records for the month of April and had a 90% score on Rotten Tomatoes. 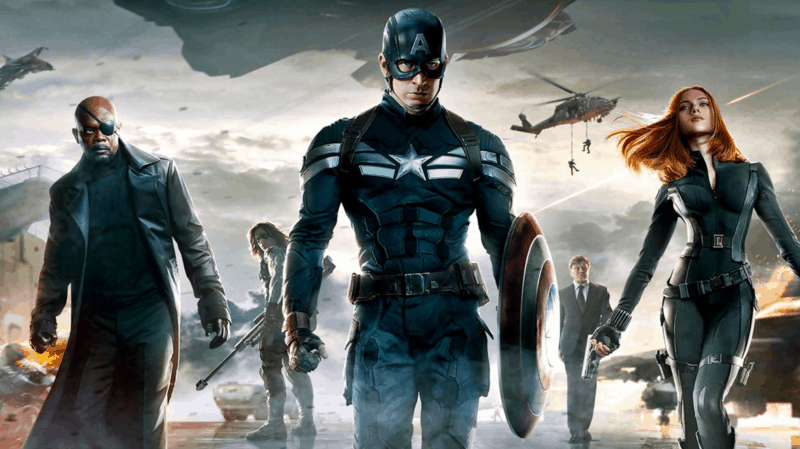 After the success of the WINTER SOLDIER, the Russo brothers were immediately put in charge of the third Captain America film, alongside the (then untitled) Avengers 3, and 4. In other words, Kevin Feige knighted the Russos as the MCU’s lead director duo. He made the right decision. CAPTAIN AMERICA: CIVIL WAR opened to an astonishing $179 million at the box office, with a 91% score from critics on Rotten Tomatoes. It remains one of the top ten opening weekends of all time. The second installation of the Russo brother’s legacy is a satisfying culmination of multiple ongoing plotlines from Phase 1. Most importantly, the tension between Tony Stark and Steve Rogers, which permeated AVENGERS, and AVENGERS: AGE OF ULTRON, finally comes to a boiling point. Plagued by guilt, Stark becomes the star-spangled super soldier’s chief antagonist throughout the CIVIL WAR. A Sokovian named Zemo orchestrates the events that pit Rogers and Stark against each other. 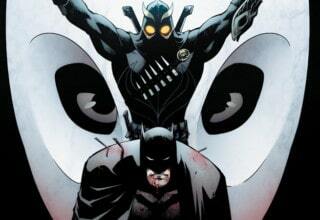 At the center of their conflict lies Barnes, his actions as Hydra’s assassin, and the world’s desire to regulate and oversee the actions of enhanced individuals in general. Steve’s desire to protect Barnes and retain his right to choose where and who he helps puts him and those who agree and help him directly against the United Nations and Stark. CIVIL WAR marks a monumental achievement for the Marvel Cinematic Universe. For the first time in the MCU, lead characters from other franchises guest star in major roles. 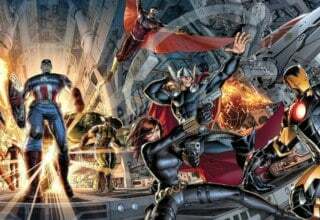 Additionally, CIVIL WAR is the first MCU film to follow an important Marvel Comics tradition started by Stan Lee and Jack Kirby, pitching new leads within pre-established franchises. In 1966, FANTASTIC FOUR #52 featured the first appearance of the Black Panther. 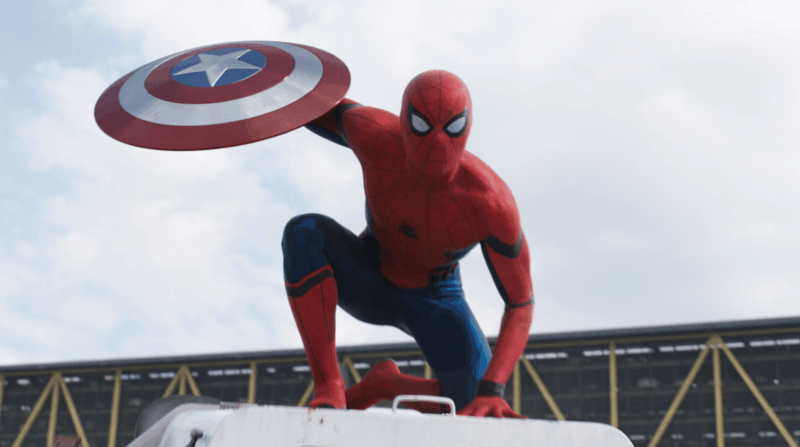 Similarly, CIVIL WAR introduces audiences to two future franchise-leads, Black Panther and Spider-Man. Here, the Russo brothers accurately portray Peter Parker as a mature, competent, and guilt-driven individual. 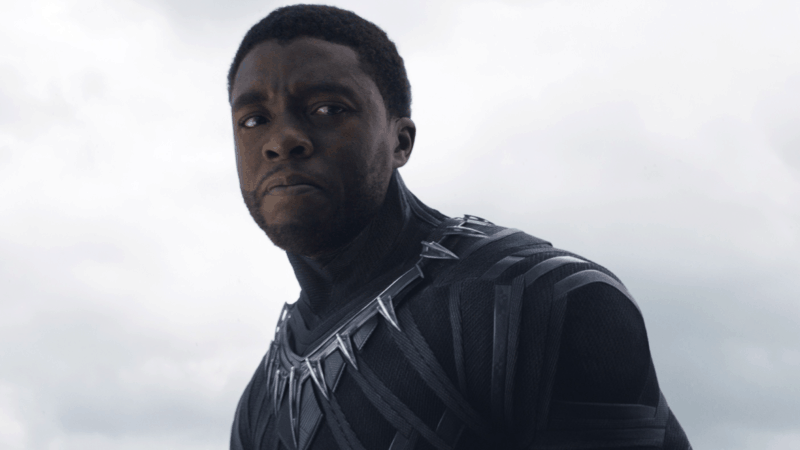 Also, under Russo’s direction, a vengeful King T’Challa steals every scene he’s in with an air of mystery and a profuse amount of badass-ery. Ultimately, CIVIL WAR relies on unforgiving, guilt-driven heroes to depict a narrative about the dangers of vengeance and the power of forgiveness. In addition to impressively balancing several themes and iconic characters, CIVIL WAR delivers a variation of a beloved comic book storyline, while retaining the essential elements of the original story. The Russos continue this trend of classic stories with creative twists in INFINITY WAR. 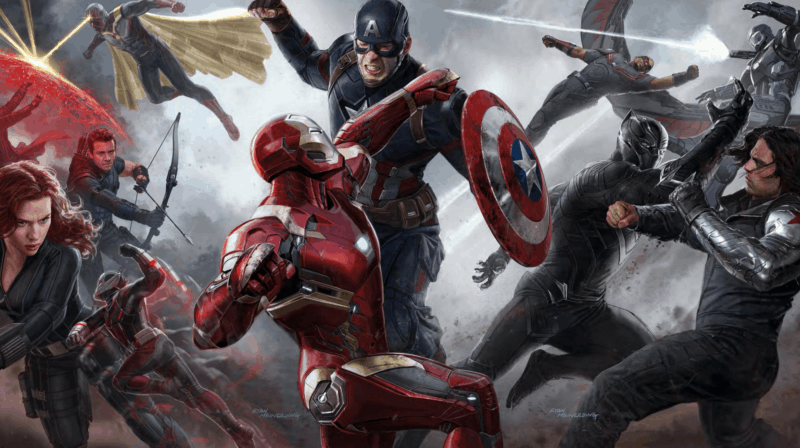 The Russo Brothers use CIVIL WAR as another means to subvert the MCU’s status quo. Just as they did with WINTER SOLDIER. CIVIL WAR leaves the Avengers divided and broken. They couldn’t be on a worse footing and position for when Thanos makes his move and starts collecting the Infinity Stones. 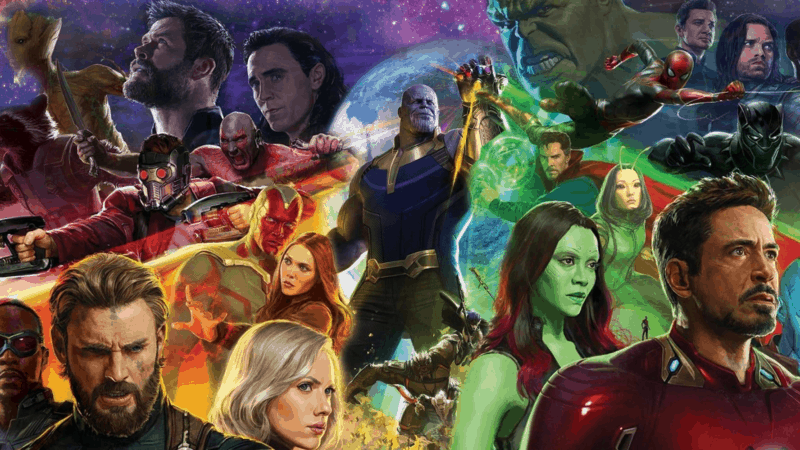 INFINITY WAR is a massive undertaking, the first part of a culminating conclusion of the MCU’s 22 films in over a decade. Not only does the INFINITY WAR feature the Avengers, but also Spider-Man, Black Panther, and the Guardians of the Galaxy. INFINITY WAR has the largest cast of heroes seen yet, featuring almost every hero we’ve seen in MCU films prior. 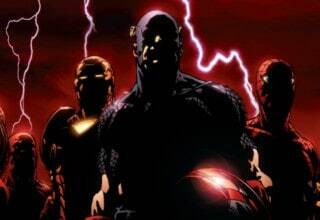 They all unite to stop the Mad Titan Thanos, fighting him and his army on the fronts, both cosmic and at home. The Russo Brothers seamlessly shift from character to character and intersecting several arcs. They weave this incredible tapestry of an epic battle and showdown with the being who has been behind the scenes and manipulating events since the very beginning. I don’t know if the Russo Brothers knew how much INFINITY WAR was going to impact its audience and pop culture as much as it has. I mean, Marvel films are big. They were big and popular even before INFINITY WAR. But now, thanks to the Russo Brothers and INFINITY WAR, the MCU has transcended into something that will never go away. No matter how much time passes, similarly to STAR WARS. INFINITY WAR became the highest grossing film in 2018 and is now the fourth highest grossing film of all time. 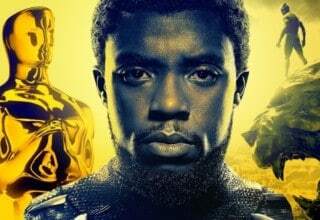 It’s also the first superhero film to make over 2 billion dollars at the box office, with a very positive critical response overall. It also broke records for advance ticket sales as well. It’s become huge, is what I’m trying to say (if you’ve been living under a rock since last May). The Russo Brothers crafted Thanos as an antagonist who is incredibly dynamic with very engaging dimensions to his character. Not only that, but they still managed to find the time to give moments and beats to all the heroes we know and love. No hero in INFINITY WAR feels overshadowed. It was a fantastic feat and the Russo Brothers were undoubtedly the right directors for the job. With INFINITY WAR, we can once again thank the Russo Brothers for another pivotal and insane paradigm shift in the MCU, as they did in their previous two MCU films. Unlike any other Marvel film: “The heroes lose at the End.” It’s essentially unprecedented. Not only to have the heroes lose but to also have several dies as well. 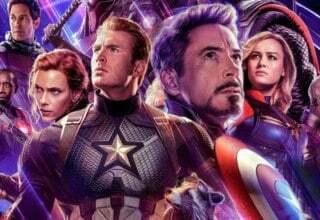 AVENGERS: ENDGAME To Be Final Russo Brothers MCU Film; Or is it?! While INFINITY WAR has broken several records, I can foresee one other film that could overcome its success. What film would that be? Oh, just part two of a culminating conclusion of the MCU’s 22 films over a decade! AVENGERS: ENDGAME will be the fourth and final Russo Brothers MCU film, and the anticipation is massive. With the insane cliff hanger INFINITY WAR left us, how could it not be? 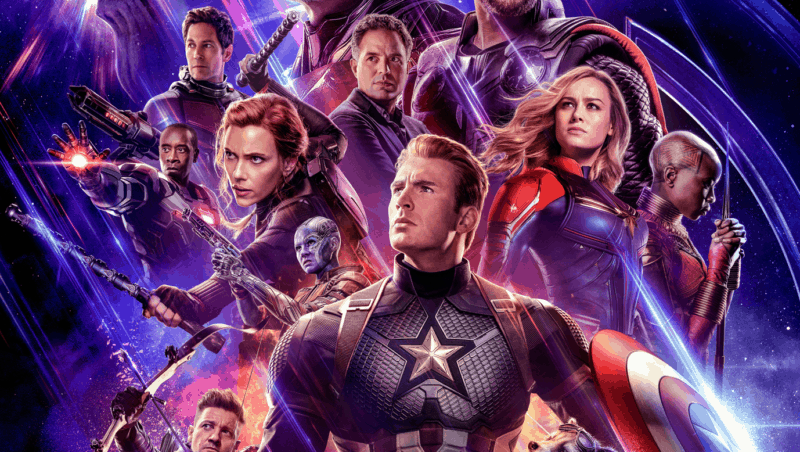 The trailer for ENDGAME has revealed extremely limited footage (there’s no real need to sell us on the film). However, we do know that time will have passed since Thanos eliminated half of all life in the universe. What’s left of the Avengers has been told to move on, but Cap insists that they won’t. They’ve got a plan and they’re going to do whatever it takes. One thing’s for sure: the MCU will never be the same after this one. The film is reported to be 3 hours and 2 min long, which is brilliant. 3 hours of pure Marvel and Russo Brothers magic. I have every confidence they’ll give us another incredible film of epic proportions. There is a possibility that ENDGAME might not be the last MCU film for the Russo Brothers. They said in a recent interview that while the conditions would need to be right, they would certainly consider coming back in some way shape or form. They love working with Marvel. Who knows, maybe that Russo Brothers magic will continue after ENDGAME. We can only hope. AVENGERS: ENDGAME comes to theaters April 26th. 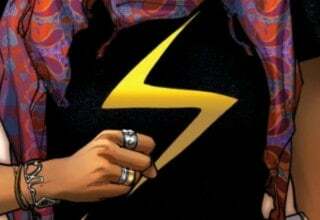 Previous article Episode 110: Who is Marvel’s Black Widow?